PrimoFlex Advanced LRT has been carefully formulated to enable it to perform in a wider range of closed loop cooling systems, making it the most compatible water cooling tubing ever created. 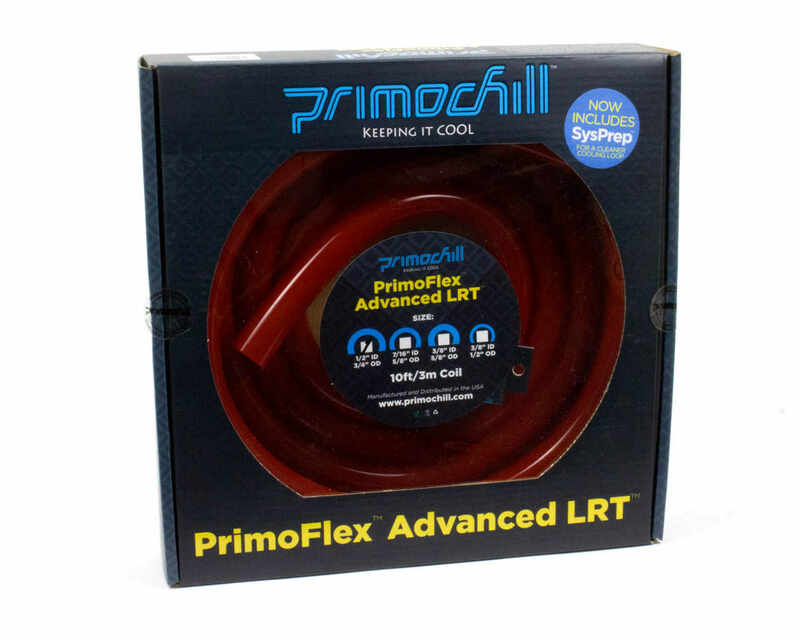 Low Radius Technology: PrimoChill's proprietary blend of extremely low durometer PVC and a more rigid polymer resin gives PrimoFlex Advanced LRT its unbeatable bend ratio and durability. Even under exacting laboratory set-ups with abrupt small radius bends and multiple direction changes, Advanced LRT tubing resists twisting and collapse allowing for tighter bends without the kinking that can cause cooling failures or a reduction in system performance (A common problem when using other lesser brands). Clarity in Sight and Mind: Smooth inner walls improve closed loop sanitation. Advanced LRT smooth surface inhibits particulate gathering or entrapment onto the tubing wall, thus reducing the potential of bacterial growth and contamination. With its new "resistant" inner walls, Advanced LRT will keep your system looking and feeling as clean as the day it was installed. The new technology used in PrimoFlex ADVANCED LRT has removed the need for the antimicrobial formerly impregnated in the Pro LRT tubing. The results are a noticeable improvement of clarity over PRO LRT. With the use of different components, materials, fluids, and flow rates, results may vary with the appearance of your tubing. Advanced LRT is designed to work with a large variety of cooling components, however the use of alcohols, Ethylene Glycol and as well as any other harmful chemicals is strictly prohibited and will void your warranty.Tubing will stain if dyed coolants are used. PrimoChill is not responsible for any damage caused by or when using this product. Please use at your own risk.